Plenty of new parents are willing to spend lots of time and money to get perfectly posed, professional portraits with their babies. 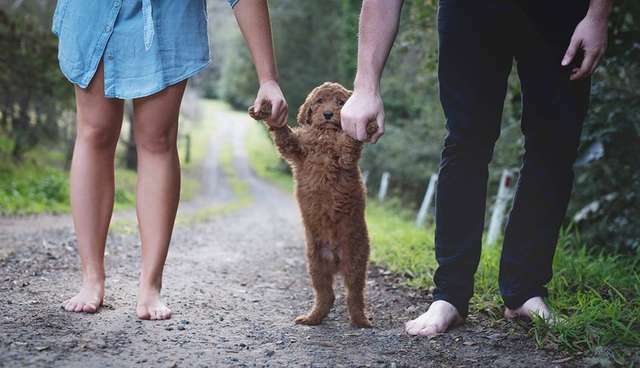 Well this Australian couple did just that - with their furry little puppy. 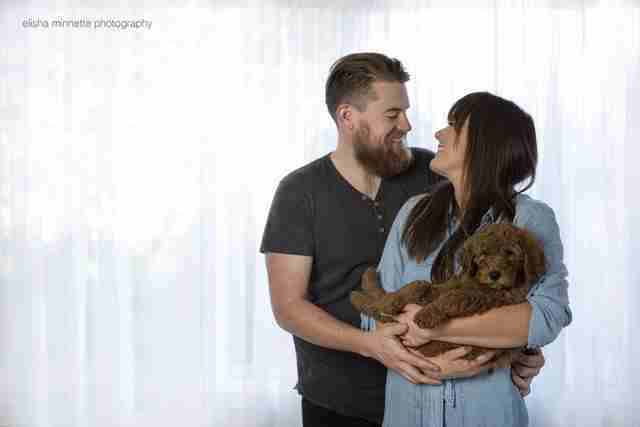 Abby Lee and Matt Kay had a session with Elisha Minnette Photography to take these photos with their puppy, Humphry - and they hit all the usual tropes of a "new baby" photo shoot. 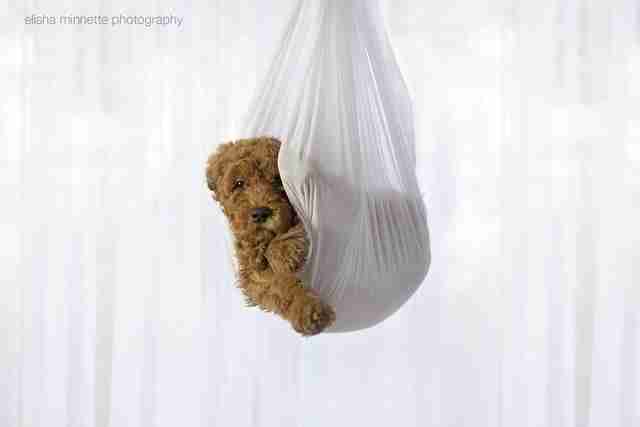 "I am not making a joke of new parents doing newborn shoots," photographer Elisha Minnette told The Dodo. "This shoot was just for a bit of afternoon fun being creative." It's definitely fun ... and totally adorable. Minnette may have accidentally started the next big trend in pet parenthood. 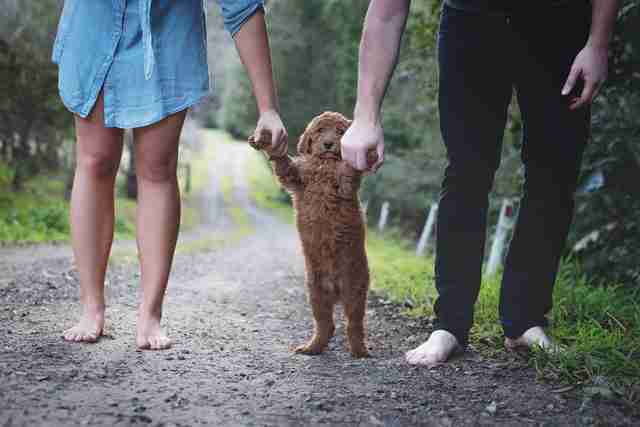 Minnette posted the photos to her professional Facebook page, saying "Abby & Matt would like to introduce their little baby Humphry. Aren't they a gorgeous little family??!! hehe." The photos were shared more than 5,000 times from Minnette's Facebook page. Apparently a lot of people thought the idea of a new puppy photo shoot was incredibly adorable or incredibly funny (or both). 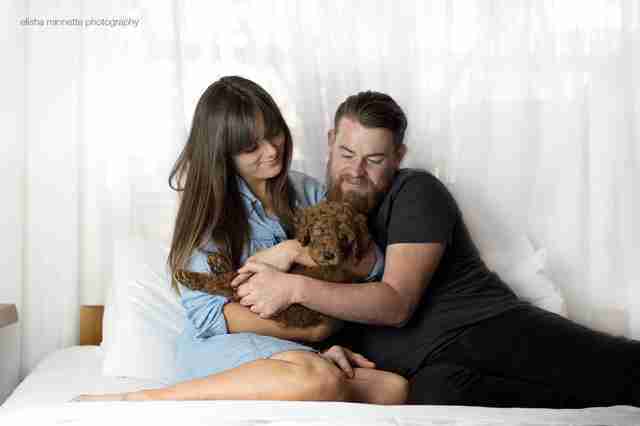 And Humphry's mom and dad now have these very, very special shots to remember his puppyhood forever. Of course they didn't quite hit all of the newborn baby clichés. "Thank god that they stopped short of the breast feeding pictures," someone commented on Facebook. 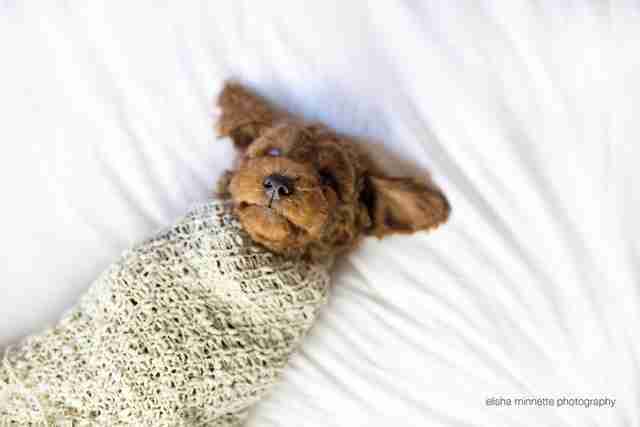 To see more of Humphry's photo shoot (and some human babies, too) check out Elisha Minnette Photography on Facebook.